First and foremost, Chinese medicine does not treat menopause as a disease. It is a normal physiological change in a woman’s life. Unfortunately, many women suffer discomfort through this transition, some quite severely. There is a long history of Chinese medicine studying and successfully treating menopausal syndromes dating back to at least 100 BC. We employ these protocols at Marin Acupuncture Clinic by using acupuncture and herbs to nourish the liver and kidney systems (said in Chinese medicine to govern developmental and aging processes). We also seek to boost the Qi (energy), moisten the tissues, strengthen and regulate the organs, and nurture the spirit of the heart. These areas are often found to be at the root of menopausal imbalances, from which symptoms originate. 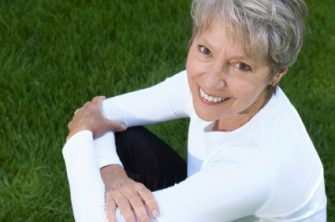 Imbalances often begin to occur during peri-menopause as hormone levels decrease, causing some women to experience symptoms that can include weight gain, loss of libido, vaginal dryness, insomnia, night sweats, hot flashes, mood swings, depression, extreme fatigue, memory impairment, irregular bleeding, and heavy or painful menstruation. For many years, medical doctors have prescribed synthetic hormone replacement therapy (HRT) to combat climacteric symptoms and as protection against heart disease and osteoporosis. However, HRT has side-effects and many women are searching for an alternative, natural, and safe method of relief. Here’s where Chinese Medicine comes in! Menopausal discomfort varies in intensity and a woman’s lifestyle can play a major role in the severity she experiences. Women who regularly exercise, meditate, eat a nutritious diet, do not smoke, as well as limit their intake of alcohol, caffeine, and heating foods usually have an easier time adapting during this phase. At Marin Acupuncture Clinic we will provide you with customized diet and lifestyle prescriptions. Additionally, studies have shown that acupuncture and herbal medicines eliminate or greatly reduce the irritating menopausal symptoms in the majority of women, especially hot flashes. Lindsey Koelman, our lead acupuncturist and clinic director, specializes in women’s hormonal imbalances and conducted meta-analysis research projects during her medical schooling on relieving hot flashes with acupuncture. She has a high success rate in treating climacteric symptoms. In fact, it’s one of her favorite health issues to treat! If you know of a woman struggling with hot flashes or the menopausal transition in general, we would greatly appreciate your referral. Telephone consultations are always free!